Kathy had a rather painful rescue in Uckfield in June after I dropped a drain cover on her fingers! We were called out after some young lads could see a lone duckling behind the grille of a storm drain on the Fernley Park estate. Unable to remove the grille we had to lift a couple of drain covers. The first one I climbed down into I couldn’t hear anything. After lifting the second cover, I climbed down and to my relief the duckling was at the bottom, sat there waiting for me. I was rather relieved that I didn’t have to crawl through the pipes to get to the poor thing. Rescuer Chris had to ask for help with a seal rescue on Eastbourne beach in August. He couldn’t wait for additional rescuers to arrive as he could see he was going to lose his opportunity to catch the seal. So with the help of a local swimmer, who approached the seal from the water encouraging it away from the surf, Chris was able to net the seal on the shore and get it secure. The seal was transported to RSPCA Mallydams Wood for treatment. After a year of trading we are pleased that our charity shop has been really well supported and is looking really good. This is all thanks to Faye and Lois who manage the shop with the volunteers who help out to keep the shop running. 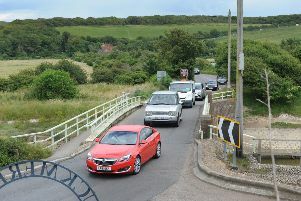 If you haven’t been there yet, please pay it a visit at 192 Terminus Road, Eastbourne, near T J Hughes. October saw rescuers also called to a seal at Hastings. The public were able to stand between the seal and the water’s edge to prevent it escaping while an ambulance drove across to help. The poor seal, which had an injury to its jaw, was soon caught and on its way to Mallydams for treatment. We rescued a swan from the River Ouse at Barcombe Mills in October after it was found entangled in more than 30 metres of line. The swan tried to escape capture – it tried to fly off, but as the line became taut it flipped over and landed on its back in the water, struggling to right itself. Using a boat and drysuit, rescuers were quickly with the swan and able to secure it and cut it free. Due to the amount of line around its body the swan had to come into care but was soon released once completely disentangled. to motorists after a spate of swans crashing on roads and being run over. This trend continued into December and towards Christmas, too, with swans coming down along Lottbridge Drove, Golden Jubilee Way, and around Princes Park, Eastbourne, as well as out on the Pevensey Levels, Alfriston and Glynde. One of the most dramatic rescues of the year happened in November after a deer became entangled in electric rope behind Buxted Court, Buxted. Rescuers Daryl and Chris joined me in securing the deer and getting it cut free. It was not an easy rescue to access and the only way we could gain control of the deer was to grab its rear legs and pull it to the floor. It was this rescue and others that led to WRAS winning the Uckfield FM Community Radio Station Emergency Service Award 2017. WRAS rescuer Daryl Farmer also picked up a BBC Sussex and Surrey Community Heroes Award for his Atlantic Row, which we are all very proud of. December saw WRAS’s hospital start to fill up with hedgehogs. Many were born too late in the year to survive hibernation. Although hedgehog rescue figures are slightly down on last year, overall WRAS has dealt with more than 3,000 casualties for the first time, some 300 up on 2016. July turned out to one of the busiest months with more than 500 casualties dealt with for the first time too. East Sussex WRAS only exists thanks to the donations and support from the local public. Without public support, donations, legacies, business sponsorship and fundraising events, WRAS would not be able to provide the support it does. So during 2018 if you are able to help in anyway to keep our service on the road please do. East Sussex WRAS would like to wish everyone a peaceful New Year.